JACKSON, Mississippi (AP) — The Parchman penitentiary Donald Cabana returned to in 2004 when he again became warden looked little like what it had been 13 years before. He told the story many times of how he didn’t like what he saw — steel and concrete buildings each with 500-600 inmates. The changes had been coming since 1972, when a federal judge took control of a prison system wracked with overcrowding, forced labor and segregation. Starting in the 1970s, the state had a frenzy of construction at Parchman. Buildings fenced in with razor wire replaced the farm camps that had been spread over thousands of acres of Delta soil. One new building opened during Cabana’s tenure at Parchman from 1984-1991. The heat, the expansive flatlands and armed guards had been at the camps to deter escapes. Amid the cotton fields, inmates labored in the hot sun, died in the hot sun — some at the hands of trusties and guards — and lived in squalor. Cabana, who died this past week at the age of 67, lamented the wholesale shut down of the “Parchman farm” camps. Each camp usually had no more than 100-200 prisoners. Because the prison population was spread across many units, inmates would have difficulty engineering major disturbances — and they worked every day. Cabana said the federal courts had to get involved after decades of neglect, not just of the facilities but also of the treatment of inmates. “Personally, although improvements were made at Parchman, unfortunately the things that were good about it — and there were some — were tossed out,” Cabana said in 2011. “They rebuilt Parchman with units that weren’t so much different than every other state was doing. Jim Craig, an attorney who has worked on appeals for death row inmates, said this past week that Cabana was more than just a prisons expert. Cabana spent 40 years in corrections, including stints as warden at Parchman and commissioner of the state Department of Corrections. 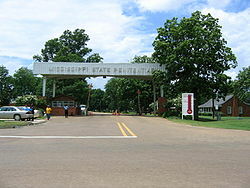 He was chairman of the criminal justice programs at the University of Southern Mississippi and William Carey University. He worked as warden at the Harrison County jail. He also worked in the Missouri and Massachusetts corrections systems. In his memoir, “Death At Midnight: The Confessions of an Executioner,” Cabana recounted his experiences with death row inmates and how he came to oppose the death penalty. Cabana later wrote “The History of Capital Punishment in Mississippi,” which traced the changes from one method of execution to another.